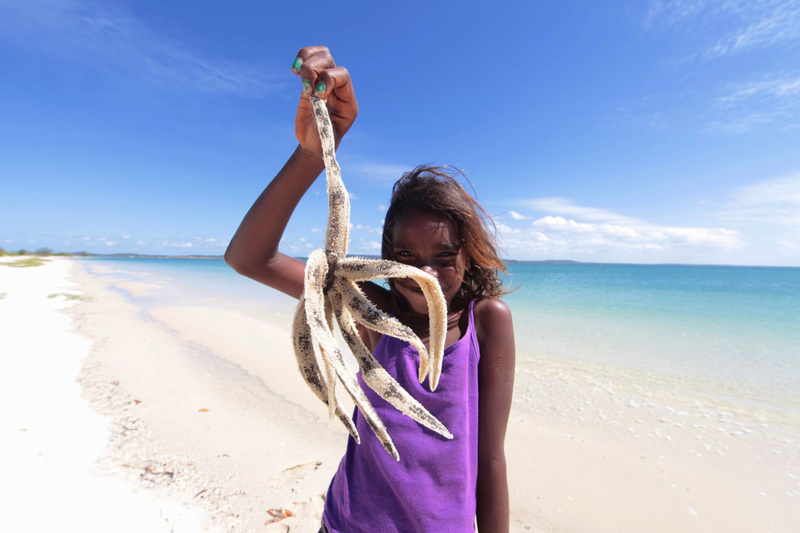 East Arnhem Land is vast and diverse wilderness land with rugged coastlines, white sandy beaches, island retreats, historical sites, fishing trips, and ancient culture experiences. The land is spread over 100,000 sq. km and is one of Australia’s last strongholds of traditional Aboriginal culture. East Arnhem Land offers a wide range of opportunities for camping, fishing, boating, walking and exploring the diverse vegetation and landscape of the region. All the Recreation destinations in East Arnhem Land are signposted and have permit area system for all the persons visiting Aboriginal communities for work or for vacation purposes. These permits are General Permit areas and Special Permit areas. Bookings are essential for the Special Permit areas only. Bawaka is the most beautiful palm-tree-strewn, white beach in East Arnhem Land which hosts a number of different cross-cultural activities like the two-day Gay’wu Women’s Program.